We don't feed canned food. That's why it would want to collect them: rarity value! Sam & Dean would eat them. She came home for the weekend. It was nice having her here. I miss her living here. I just heard, on Facebook, that Bob Howes died. I'm not sure what to say. Thoughts going out to his family. Yes, Simon put it up on his page. Bobbsy died due to complicaions after knee surgery. Such a needless and sad way to go... So sad. I'm sad as well. My thoughts are with his nearest and dearest. Chrome is blocking this site as unsafe again, which is probably partly why it's gone so quiet. I haven't had a problem. I think I'm going have to give the pups up. I can't keep them home. The fencing we put up quit working.. We can't afford to replace it. I use Edge, and had a problem with Facebook. I had to use Chrome for it. After reporting the problem to FB, it took about another 10 days or more for them to get it straightened out. I don't use Chrome unless I have to. Don't like it. Internet Explorer has been discontinued (it's still available) and hasn't been updated in over 2 years. Microsoft said they were shutting it down for over a year now, but still haven't done it. Edge is supposed to be better, but I think that it's another "dummied down" Microsoft product. They think everything needs to be "easier to use", which means that it's just another roundabout way to get you to depend on them to think for you. Back in the 60s somebody said that the world was splitting into two populations: those who do what the computers tell them to do, and those who tell the computers what to do. For years I used Firefox, it got too bulky and slow, Tried Chrome for a few days, did not like it. When I bought this new laptop with Win 8.1 It came with Edge so used it and liked it, so when I upgraded to Win 10 Creator, just stuck with it. No problems. "To every thing there is a season, and a time to every purpose under heaven"
I used to use Chrome and liked it for a while. Then.... well let's just say I still blame it for breaking one of my l aptops. It was a memory hog. Haven't gone back since. I'm using Edge now with Windows 10 and like it most of the time. Soul! They are its actions, but they are not its essence. Edge isn't too bad, but it still has its problems. I have it set to always open to my home page, MSN. But it still doesn't obey orders. If I've been on Facebook or YouTube last, there's a good chance it will open in them. I don't know why. But my opinion of Edge is it's simply not all of that and a box of Cheerios. You know I said a while back, no more cars? 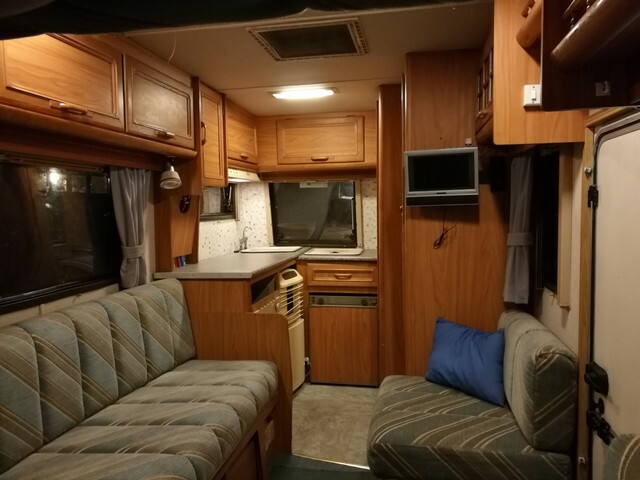 In fact the last project was specifically chosen for being tiny and approachable and taking up no driveway space as it would fit in the garage which is too small for normal cars really. So why on earth is *this* thing now parked outside? Um... simple actually. 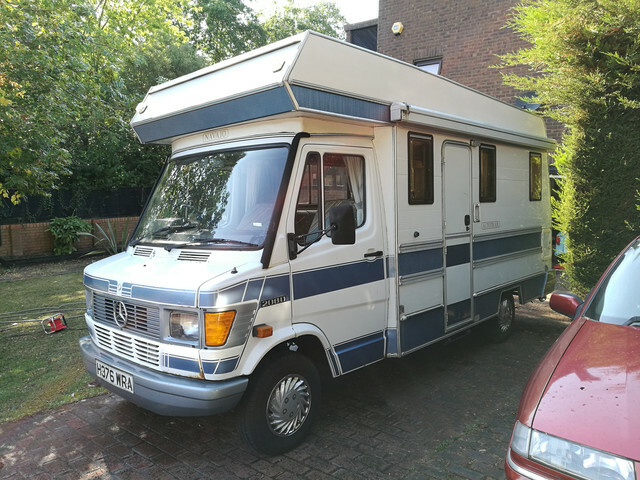 I'd wanted a Mercedes T1 since I was about five (never was a normal child), and a friend offered me a deal too good to refuse. The fact that the whole family can get something out of it helps too...plus it's by far the most dog travel friendly vehicle I could have asked for. Few weeks in, and I still can't stop myself from grinning like an idiot whenever out driving it. 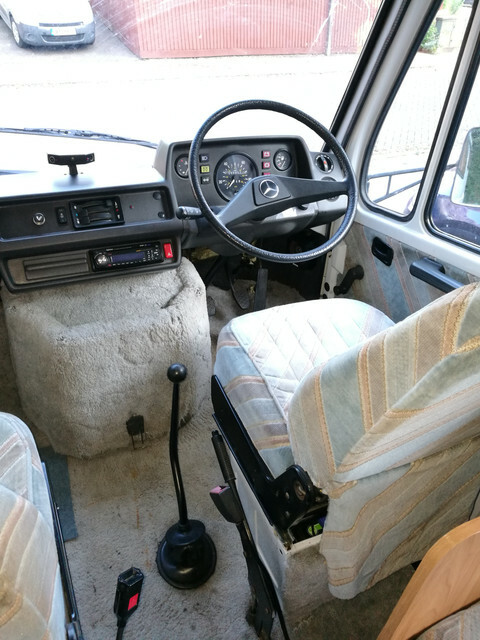 It smells like an old bus (in a good way), is surprisingly comfortable, has a proper van driving position, has a proper huge steering wheel, and even the taxi drivers don't bully me any more. It's also proving to be astonishingly good on fuel, which from a 4600 pound brick that makes a shed look aerodynamic was a surprise. Have been away for one weekend in it already, and already planned two more. That's not a car, it's a space-capsule looking for its launch-vehicle. It's looking great Zelandeth. Consider me jealous! Dog 1, Sam spent the weekend hacking, like something was stuck in his throat. Took vet given meds. Sam stops. Dog 2, Dean starts up, last 3 days. Now it dog 3, Jazzy's turn. We are wondering who # 4 is going to be. I just hope it does not make a 2nd round. Worse than a bunch of kids passing things back and forth. 4th, Brandy, dog is now hacking. Only 1 has not gotten it, Ebony. They don't act sick, still eating, running about, just hacking. I just noticed that the camper's steering wheel is on the wrong side. The British people would disagree with you I don't! The other day I saw an old Volkswagen camper that was so retro I expected to see Scoobydoo & Shaggy. That's wild, there is one of these in someone's yard I see every day on my way to work. It is all rusted with big holes thru out the body, it is green and has the gold, orange, and green plaid fabric interior. just sitting there on four flat tires slowly rotting away. To all who are in the path of the hurricane stay safe and dry. Are you and your family okay, Michelle? We're getting a lot of rain and flooding, but we aren't near anything that will flood. Dogs and cats are NOT happy. They don't like the icky wet stuff. Best place for a dog to get bit by a copper head snake is the face. More lose skin that allows for swelling. I don't like the animal E.R in Lynchburg. They won't touch the pet until you pay. They're expensive. Dogs are like kids, they get hurt when normal vets are closed. I guess you now know that your poor pup will be okay. Copperhead bites are seldom more than a bother for pets. A possum can be more dangerous, especially for cats. Cat gets too close out of curiosity and ends up getting bit in the throat by the possum. I lost a sweet cat that way, and another survived, but never had much of a voice. In Missouri there has never been a human death by copperhead bite. Sam's better this morning. Still a bit swollen, but doesn't seem to be hurting. We've never have had a problem with opossums biting cats or dogs. Not even when Sam brought, 3 different ones, them in the house, by their tails. The good thing is that opossums will kill Cooper heads and eat a lot of bugs. Also they don't get rabies. So! What happened? Was I the only one who couldn't get the site to work for a couple of days? I couldn't either. I tried various routes to the site but kept getting "site not available; have you entered the correct address". I couldn't get in at all. The message I got was that it had timed out. Same here, but all is good now. I use to argue with Kibby almost daily, but not knowing if she'll be here for the holidays is half killing me. It is strange to think about not taking her Black Friday shopping for the first time in 13 years is depressing. I know she is happier where she is, but I wish she was here. You'll have to refresh my memory (old age is catching up with me, I guess.) Where is she? How's she doing? What's she doing? Why doesn't she drop by and say hello here? She's 23 lives 2 hours away and is doing great. She is mainly into roleplaying. 23? She can't be! Why, that would mean I would have to be 71! Oh, wait...…. They say time fly's, Well somebody needs to take those Dragon Wings off of time, it is flying way too fast !